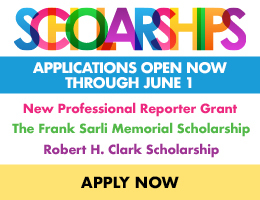 The National Court Reporters Foundation (NCRF) is now accepting nominations for the Robert H. Clark and Frank Sarli Memorial scholarships for students, as well as applications for the New Professional Reporter Grant. The deadline for all of these awards is June 1. Beginning this year, all NCRF scholarships are open to NCRA student members enrolled in any court reporting program, not just NCRA approved programs. The New Professional Reporter Grant is now open to qualifying graduates of any court reporting program. 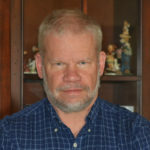 The Robert H. Clark and Frank Sarli Memorial scholarships are awarded to high-achieving students nearing the end of their court reporting program who meet a number of criteria, including current student membership in NCRA, having passed at least one Q&A test at a minimum of 200 wpm, and a GPA of at least 3.5 based on a 4.0 standard. 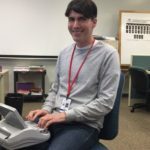 The New Professional Reporter Grant is given to a promising working reporter in his/her first year out of school who meets a number of criteria, including current NCRA membership, a graduating GPA of at least 3.5 on a 4.0 standard, and a recommendation from the person’s current employer. Students looking for scholarships can also consider the CASE scholarships and NCRA A to Z ™ scholarships. Deadlines for these two scholarships, which are also supported by funds from NCRF, have been extended to April 19. More scholarships and other NCRF programs can be found by visiting NCRA.org/NCRF. 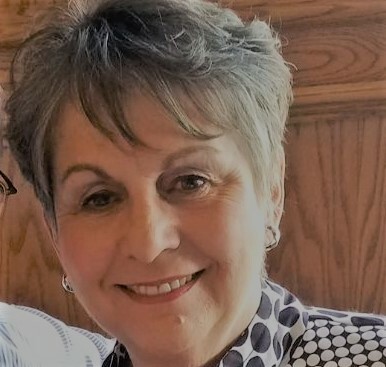 NCRA member Penny Wile, RMR, CRR, owner of Penny Wile Court Reporting in Norfolk, Va., has been a court reporter for more than 30 years. 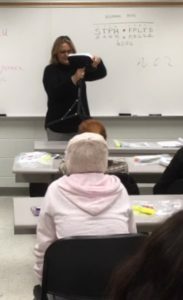 Recently she showcased the court reporting and captioning profession to students in a paralegal course taught at her local community college. Approximately three months ago I took the deposition of a risk management specialist for a national chain of stores. It was a run-of-the-mill 30(b)(6) document production deposition stemming from an accident that resulted in a personal injury claim being filed. Plaintiff and defense appeared via video-teleconference, and the witness and I were together at the deposition site. The deposition took most of the day, and during breaks the witness asked me questions about court reporting. We chatted about my profession and hers. 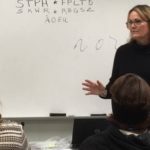 Not only is she a risk management specialist, but she teaches a paralegal course locally, at Tidewater Community College on Thursday evenings. At the conclusion of the deposition she asked if I would be interested in speaking to her class about court reporting. I eagerly agreed! Anytime I can attempt to recruit others to join the profession, I am happy to help. I reached out to NCRA and asked if they could provide tools for me to use in my talk. I quickly received literature to download and print. The next day I received a box of print media and goodies for the class. 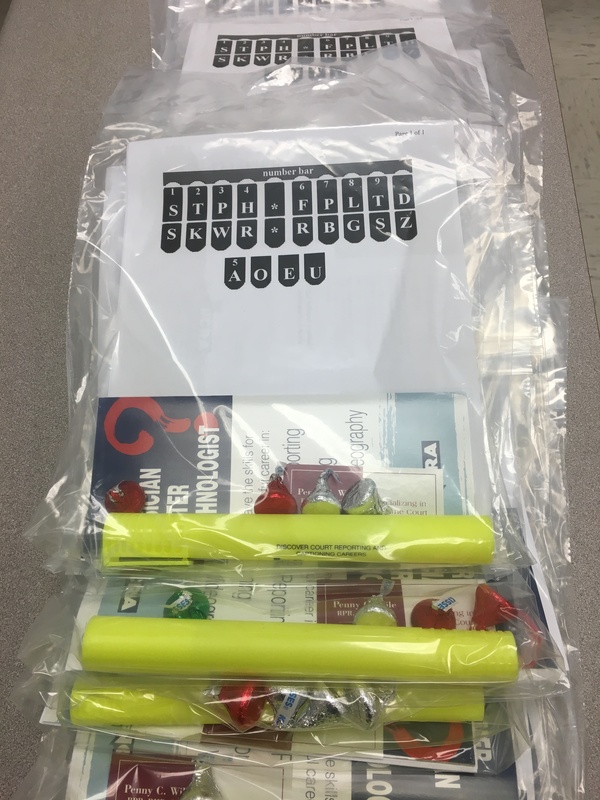 I purchased some clear bags with handles and filled them with important information about court reporting: History, training, career rewards and challenges, in addition to the goodies. On Nov. 29, I spoke to the classroom of paralegal students. The students were eager to learn about the reporting profession. I started with a once-upon-a-time story of how I entered the profession. It’s not a glamorous story but one that should be told. They appeared to appreciate how I entered the profession. These students work during the day, have family obligations, and attend college at night. They are real people with busy lives trying to receive an education. They asked me many questions and seemed to be engaged. I spoke to them about my work abroad, some of the more rewarding assignments I have covered in my career, some of the unusual assignments I have covered, and gave them court reporting 101 in two hours . Two students in particular were very interested in training with the NCRA A to ZTM Program. They were excited they could “try out” reporting and see if it would be a good fit for them. I provided my contact information and told them I would be happy to help them if they pursued training in the profession. When my talk wrapped up, I couldn’t believe I had spoken for two hours! I have been invited back to be a guest speaker for the upcoming semester, and I look forward to the opportunity to inform and encourage others to enter the field of court reporting. You can also read Career Days are great ways to promote the profession. For more information about career day resources that are available from NCRA, contact pr@ncra.org, or visit the 2019 Court Reporting & Captioning Resource page. 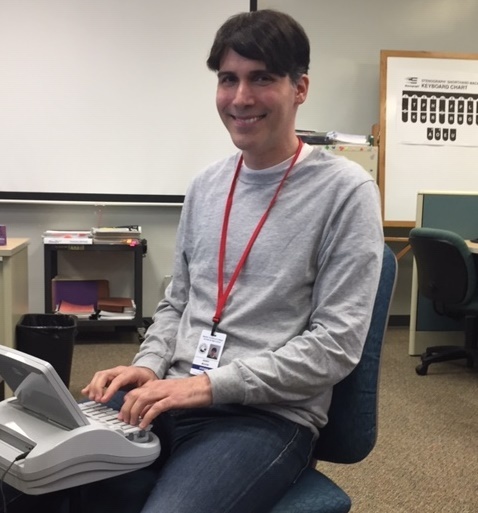 With 2019 Court Reporting & Captioning Week on the horizon, many NCRA members are planning to mark the event by participating in a career day at a local middle or high school where they can show off their steno skills and introduce students to the benefits of a career in court reporting or captioning. 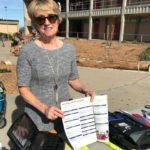 The JCR Weekly reached out to NCRA members Ann Hall, RPR, an official court reporter from Monterey, Calif., and Jason Meadors, FAPR, RPR, CRR, CRC, a freelance court reporter from Fort Collins, Colo., who each recently participated in local school career days, to find out more about their experiences. 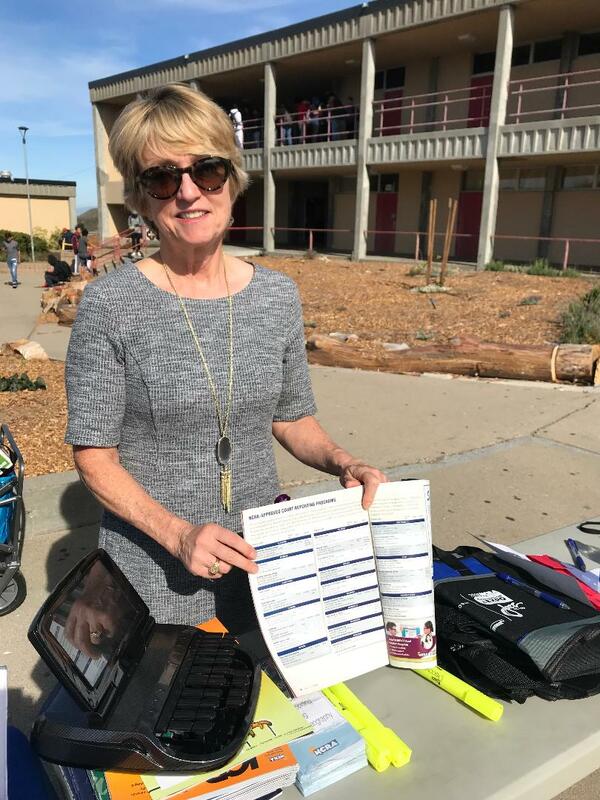 In early November, Hall participated in a college/employment fair day at Seaside High School in Seaside, Calif., where she introduced the court reporting profession to students from all four of the grades. Hall said she was asked to participate by a counselor from the school, and she noted that the last time she had attended a career event was some 12 years ago. Hall added that she learned about the court reporting profession from a family friend who worked as a reporter, and it was he who encouraged her to pursue the career. 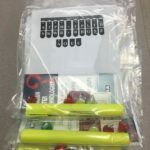 Meanwhile, in Colorado, Meadors said he showcased the court reporting and captioning professions to sixth, seventh, and eighth graders at the Broomfield Heights Middle School in Broomfield, Colo., upon the request of an associate. Meadors said the students’ questions were great, and the experience gave him hope for the generation to come, because they were bright, inquisitive, and polite. The experience also gave him an appreciation for the need for NCRA members to get their story out to younger people. “They wanted to know what type of training was involved, how much education, how much work per week, if travel was involved, what kind of people I ran across, what were my most and least favorite aspects of the job, if I got perks for airline miles – I don’t remember them all, but the questions were very perceptive,” he said. “They thought the machine and realtime display was pretty cool. 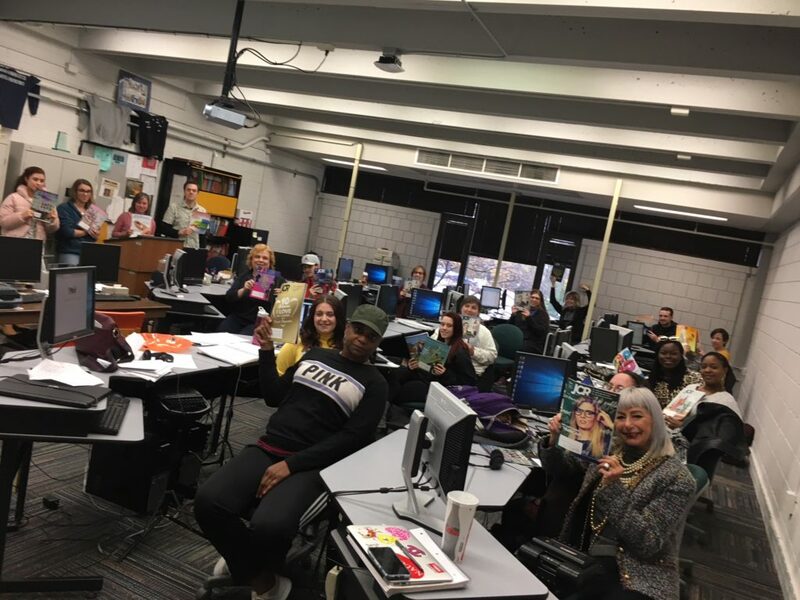 They thought the traveling I do was pretty cool,” added Meadors, who noted that he has done other career day events which, unlike this one that rotated students through one classroom, were set up similar to a vendor hall. Meadors, who said he would certainly participate in a career event again, advises others who decide to attend one to go prepared with a presentation they want to give, but be agile, because the format they choose might not be the format that’s best for the setting. “For instance, I had a PowerPoint prepared, but I ditched it. I was prepared to scatter realtime screens throughout the classroom, but that wouldn’t have worked as well either. Instead, I answered their scads of questions, I told the most entertaining but honest stories I could, and they gathered around while I did a realtime display,” he said. “We really do have a fascinating profession. I gave my presentation in tandem with a lady who had the title of ‘project manager,’ and she kept complaining privately to me that she just sounded boring compared to the work we do,” he noted. 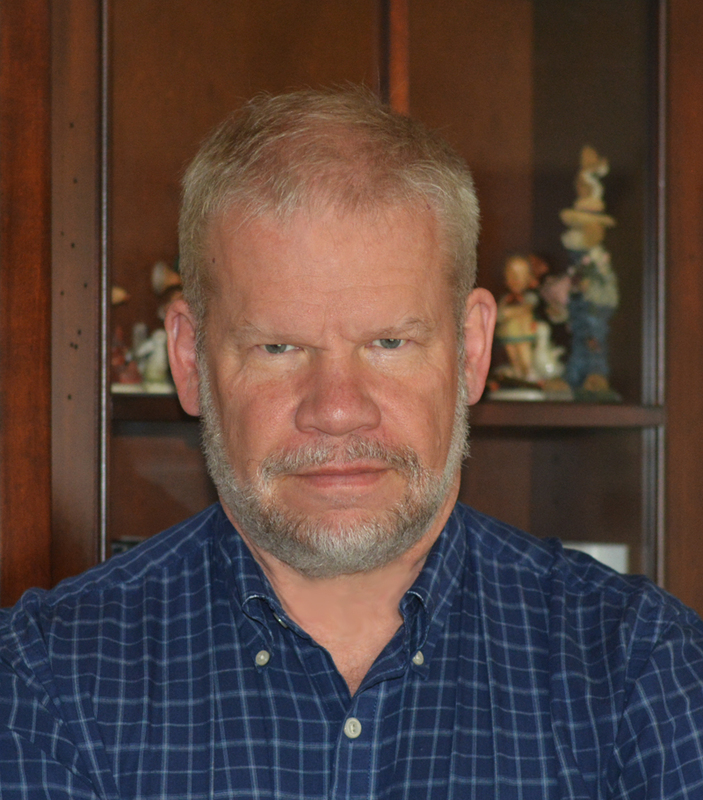 Meadors said he first learned about the court reporting career while serving in the U.S. Marine Corps, where he was assigned to legal services clerk class right out of boot camp. “The highest graduates of that class went to the court reporter class. It was stenomask training. I placed high there, found out I loved the work, and went to steno school upon my honorable discharge from the Marines,” he added. 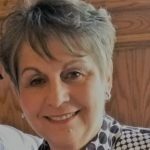 NCRA member Penny Wile, RMR, CRR, owner of Penny Wile Court Reporting in Norfolk, Va., has been a court reporter for more than 30 years. 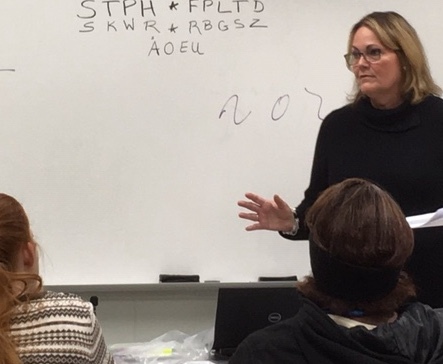 Recently she also showcased the court reporting and captioning profession, but this time, to students in a paralegal course taught at her local community college. Read Penny Wile’s story. One of the key elements in developing speed and accuracy in machine shorthand is reading from your shorthand notes. Too often students think it’s unimportant, that it takes too much time, and that it doesn’t benefit them. Reading your shorthand notes is extremely important! When I was in court reporting school many years ago, I, too, did not know the value of reading and correcting my shorthand notes. In those days, our steno machines produced paper notes in shorthand, and we could pull them up and correct our misstrokes. I’d been in school for three years and hadn’t passed a test in over a year. Unfortunately, I was attending a school that didn’t emphasize readback. We wrote and wrote and wrote on our machines in class. After class, I worked on speedbuilding tapes and wrote and wrote and wrote more on my machine. But it seemed that the more I wrote, the more I practiced, the less I progressed. I felt I was losing, not gaining speed. I was sure I would never get past 140 words a minute; but before giving up, I transferred and commuted more than an hour a day to another school with a fellow court reporting student. The first day at the new school, the teacher admonished us for reusing our paper and not reading our shorthand notes. During break, we each bought a pad of steno paper, loaded the fresh paper into our machines, and went back to class. Unable to read the steno we had just written, we passed when it was our turn to read. Instead, we diligently corrected our notes when other students in class read back. Later we read our corrected notes to each other on the train ride home. Instead of practicing on my machine, I read my corrected notes two more times at home, and we read them again the next day on the train. After a few weeks of reading and rereading our notes, we both began to pass tests; and within a year, we went from 140 wpm to 225! We both learned the hard way that reading, correcting, and evaluating shorthand notes are essential in developing machine shorthand speed. 1. Read the raw steno from your vertical notes, not from the realtime translation screen. Your vertical notes resemble the paper notes we used to use before CAT software. When working on speedbuilding, you should not watch the translation of what you are writing, nor should you watch your computer screen when building speed. Identify your drops. Each time you drop a word, put a slash (/) with the red pen on the paper notes. At the end of the selection, count the slashes and write how many words you dropped. Circle the number of dropped words. Don’t count dropped outlines, but count dropped words. If you dropped a three-word phrase, count that as three dropped words (/ / /). Repeat writing the selection, and force yourself to get more words on each take. In other words, if you dropped 15 words on the first take of a selection, your goal is to get five more words each time you write it until you can write the entire selection without dropping an outline. Indicate misstrokes with a red pen. You may put a check (ü) exactly where a misstroke occurred or you may write the correct letter. To save time and quickly correct your notes, write the English letter, not the machine shorthand keys. For example, if you wrote an initial S- when you wanted an initial D-, write D not TK. Read your notes out loud whenever possible. A fundamental learning principle is that students learn twice as fast when they hear and see something at the same time; therefore, always try to read your notes out loud. When practicing from recorded dictation, replay the selection and read from your notes along with the tape. The importance of readback is not just my opinion based on my experience in court reporting school; it is based on many studies of how learning takes place and how psychomotor skills are developed. Reading your notes and correcting them with a red pen conditions or programs your subconscious brain to write the correct shorthand. If you repeatedly make the same correction on a steno outline, you will eventually write the correct outline. It’s based on Pavlov’s theory known as “classical conditioning.” Learned psychologists have applied Pavlov’s theory to developing psychomotor skills in humans. For example, do certain songs remind you of something in your past? Does the scent of a perfume or soap have a pleasant or unpleasant memory? Do you salivate when you smell chocolate or freshly baked bread? If so, these are forms of classical conditioning. 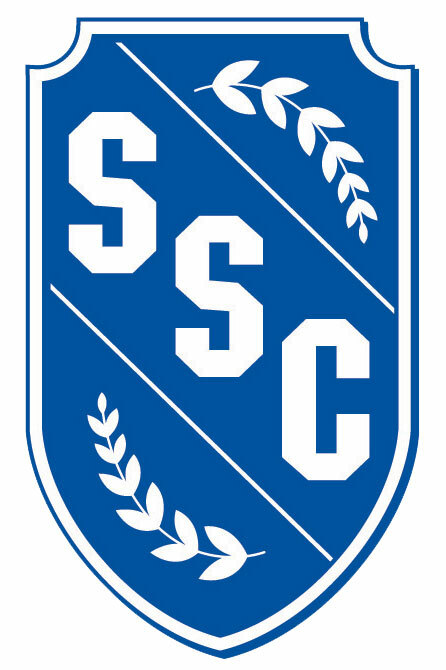 Building speed and skill are developed by applying Pavlov’s theory using stimulus and response when you read your steno and repeatedly mark incorrect outlines; and it directly results in developing skill and speed. Learning is accomplished faster when you employ more than one learning principle. You learn, store, and process information when you see something, when you hear something, when you read something, when you write something, or when you repeat and say something. You learn best when you incorporate many senses together: writing shorthand outlines; reading, visualizing, and correcting steno outlines with your red pen; and hearing them one more time when you read out loud from your shorthand. In conclusion, reading back and correcting your shorthand notes are probably the most important elements in developing speed and accuracy in writing machine shorthand. Kay Moody, MCRI, CPE, an instructor at College of Court Reporting in Valparaiso, Ind. JOIN NCRA with a student membership. Become a member to get discounts on testing, convention registration, study guides, and more. CONTRIBUTE to Up-to-Speed by submitting articles, study tips, questions for reporters and instructors, and suggestions. LEARN about upcoming scholarship and grant opportunities. Internships are an opportunity for students to get out of the classroom and into the real world. During their internships – which do not start until after they have reached at least 180 wpm – students are required to complete a minimum of 40 hours of actual writing time. Working with practicing reporters in a variety of settings helps students choose the right path. These students from South Suburban College in Oak Forest, Ill., share their internship stories. My court reporting internship experience through South Suburban College has been wonderful. I could not have asked for a more satisfying experience. I had never shadowed or interned with a reporter before this experience and had never gone out to see the real life of a working reporter, so this was something completely new for me. In the beginning of my internship, I didn’t know what to expect while shadowing a reporter. I didn’t know what to expect from lawyers, judges, etc. To my surprise, the reporter, and every reporter I would go out with after that, was very friendly with the lawyers and judges for the most part. Also to my surprise, the reporter, most of the time, didn’t have to clarify the spelling of a name or ask for a spelling of the attorneys’ names; they had already taken the initiative to spell it for the reporter. The depositions in the beginning of my internship were not as long as I had anticipated them to be. I had the opportunity, though, not long after, to shadow a reporter on a longer deposition. It is so intriguing to be on the job and observing activities or processes that I have learned in school, and to be seeing those processes in action. One of the processes I observed was an interpreter in a deposition, translating questions from English to Spanish and Spanish to English. It was actually not as difficult as it had sounded to me in school; it was exciting. My favorite part of the internship was going to the courthouse. I was able to see two bench trials and motions. As I was shadowing a reporter for one of the bench trials, it was something that I knew in my heart: not only do I want to become a court reporter, I would like to one day be sitting in her position as an official court reporter recording these trials. I couldn’t have asked for a more profound and magnificent experience during my internship. 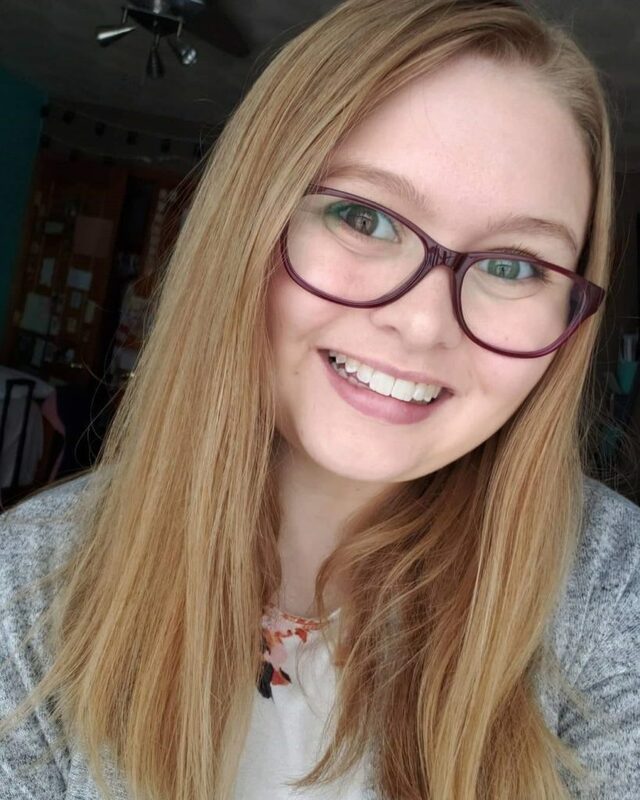 Amy Priestley graduated from South Suburban and currently works for McCorkle Litigation Services, Inc., in Chicago, Ill.
As a student of court reporting, I spent my summer on a court reporting internship shadowing various reporters from many different agencies and courthouses. Since I have never been to a deposition or a trial, this experience has been enlightening and enjoyable. I have been able to learn which form of reporting I would like to do in the future upon graduating school. I have decided I would like to be a freelance reporter. After shadowing many different freelance reporters, I quickly realized that I enjoyed the flexibility of their schedules. Each reporter that I shadowed had a different number of days they worked a week, usually dependent upon their lifestyle. Some of these women were mothers, some were married, and some were single. Each was able to adapt their schedule to fit the needs of their lifestyle. Since I would like to one day be a mother, it will be extremely beneficial to be a freelance reporter with a flexible schedule. Unlike in a courtroom, in a deposition freelance reporters have full control over the room. They conduct the entire deposition starting with swearing in the witness to asking for the lawyers or witness to repeat what they just said. The atmosphere is less hectic as there are not many people coming and going. It is a much easier atmosphere to work in and focus. Beyond the flexibility of schedule and the atmosphere, working for an agency allows me to have coverage if needed, to not go the same place every day, to sit in on depositions about all kinds of different topics, and to stay far away from criminals in custody. Overall, this internship has been trying and exciting. I have found out what a small agency is like and what a large agency is like. I have seen the ups and downs to reporting. I have only found an even larger appreciation of the field and my ability to join this small society of intelligent individuals who can do what I do. I look forward to joining them. Jaclyn Dluski is working on her 225 wpm. 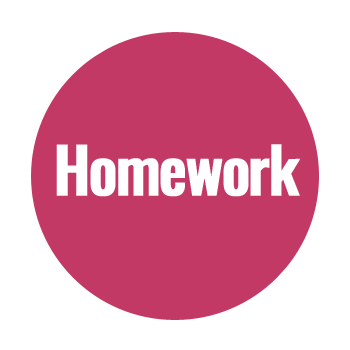 Treat your homework practice session like it is a job or a date. If you schedule a time to practice each day, you are more likely to fulfill that commitment. You wouldn’t miss your job or a date, so don’t miss your practice session. Court reporting instructors offer some unique tips to help you stay on track and reach your goals. Pretend everything is a test, even when you are in class practicing. Take it all seriously. Use the same level of concentration and energy that you use on a test on your practice to get the most out of it. This will also help to reduce test anxiety plus enhance your daily practice. Practice numbers. Virtually all testimony will begin with addresses, phone numbers, dates of birth, etc. Practice in an environment where you can totally concentrate. Be away from any type of interruptions or distractions. Practice occasionally with distractions (which is what class time is). Even though testing in class and for certification will be uninterrupted, that’s not how it is in the real world. This will help you work on your concentration and focus. Reward yourself if you have been practicing faithfully and you pass a take or a test. Do something special. Set those goals, strive for them, and reward yourself when you reach them. Practice the words you missed (again, you see what those words are when you listen to the tape the second time). Then play the tape again to the spot where you started having trouble with those words. After you have practiced them for a while, you should be able to write through them and go farther on the tape. Set up your machine as soon as you get home. It will be a constant reminder to practice. As you write faster speeds, practice as you watch TV or listen to the radio. Review old material every day. Dig out those lists of briefs and phrases, jury charge words and phrases, months, cities, states, etc. Be honest about the quality of your practice and how much really is “good” practice and how much is “distracted” practice – phones ringing, people interrupting, snacks being eaten, etc. Think about the amount of time you have really practiced compared to how much time you have been on or near the machine. They usually aren’t the same! Set a measurable and achievable goal for each practice session. “Increase speed” is not measurable. “After practicing, I will write three one-minute segments of literary material in realtime at 100 words per minute with fewer than three errors in each minute” is a measurable, achievable goal. If you can’t achieve it and you really practiced hard, the goal was probably not reasonable. Look back a sentence or two when you have a drop in your notes. Was there some multistroke word, brief, or phrase that slowed you down? Pay attention to words when you practice. You have to be able to transcribe them correctly. Do you know the different meanings of “peek,” “peak,” and “pique”? Was an unfamiliar word such as “halcyon” or “panacea” used? Use Webster’s online unabridged dictionary to find the correct spelling. Vocabulary is extremely important on national and state certification tests, as well as in daily jobs. 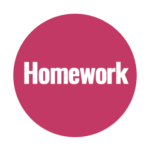 Subscribe to an online “word-a-day” vocabulary builder. When it appears, be sure to fingerspell it for practice. Then write the definition in steno and read it back. This article is adapted from an one originally published in CASElines with contributions from Ann Carothers, RPR, CRI; Deb Dubuc, RPR, CRI, CPE; Erika Inglett, RPR, CRI; Cathy Penniston, RPR, CRI; Ronette Smith; Sarah Smith; and Patti Ziegler, CRI, CPE. Real estate. Record contracts. Smoothies. Court reporting? Students come to court reporting school straight out of high school, as military veterans, or quite often, as career-changers. Randy Wolpin, a student at Atlantic Technical College in Coconut Creek, Fla., has a number of successful careers on his résumé. Now he’s ready to take on one more. Wolpin shared his story with Up-to-Speed. My background is in sales and marketing, business acquisitions, real estate, historic preservation, zoning, and community development. I’ve been a business owner for more than 19 years. I’m a licensed real estate managing broker in Florida, Georgia, and Illinois. My professional background started in the music business, exclusively representing Thin Lizzy, EMF, Corey Feldman (actor), Leif Garrett (actor), and countless others and receiving album credits from Thin Lizzy and Mike Tramp’s White Lion. I secured record contracts for more than a half a dozen artists, including a demo and rarities from Marilyn Manson and Paul Di’Anno (front-man for Iron Maiden). In addition, I was cited by Dave Thompson, the editor of Rolling Stone and U2 biographer, in his book Alternative Rock, as creator of a critically acclaimed tour: The Social Chaos Tour 1999, credited as one of the top 75 tours of all time. I have been mentioned in the credits on the Howard Stern Show twice, as well as in two pages in Paul Di’Anno’s best-selling book, The Beast. Following my exit from the music industry, I owned a Smoothie King Franchise in Plantation, Fla., as well as an Assist-2-Sell Franchise in Atlanta, Ga. I’ve been a re-developer and a historic preservationist. I am very inspired by the program at Atlantic Technical College and look forward to bringing my business skills and applying them in the court reporting industry. UTS | How did you get interested in court reporting? WOLPIN | While residing in Atlanta, Ga., one of my real estate clients introduced me to court reporting. She is a firm owner who has made quite a name for herself in the industry. I had never been exposed to the court reporting industry, even though my sister is an attorney in the state of Mississippi. UTS | What kind of support system do you have at home or at school? WOLPIN | After closing my Assist-2-Sell Franchise in Atlanta, I sold my home and moved to South Florida. I presently care for my 81-year-old mother who I stay with in Tamarac. I am a full-time student and spend about 4-8 hours a day practicing with little interruption, while learning to master my new interest in stenography. My family loves and supports my new endeavor. UTS | Do you have a mentor? WOLPIN | My instructors, Ms. Debra Hill, CRI, and Ms. Susan Williams, are the best in the industry. Their combined experience has allowed me to move forward at a significant pace, while learning the fundamentals, developing proper work ethic, and striving for the accuracy that is required in this amazing industry. UTS | What do you enjoy most about court reporting school? WOLPIN | Court reporting school has been a very challenging and rewarding experience. The concepts and the implementations of the program become easier with practice. I am always challenging myself to grow with the applied theories that continue to build upon each lesson. It is a very tactile and unconventional educational program that could be compared to learning and perfecting a musical instrument. UTS | What’s the best advice you’ve been given so far? WOLPIN | Practice, practice, practice. UTS | Who or what inspires you? WOLPIN | Freethinking, intelligent professionals who have a love for historic preservation, the arts, and the pursuit of happiness. UTS | What is your dream job? WOLPIN | Continuing my entrepreneurship as a firm owner while being closer to my daughter.